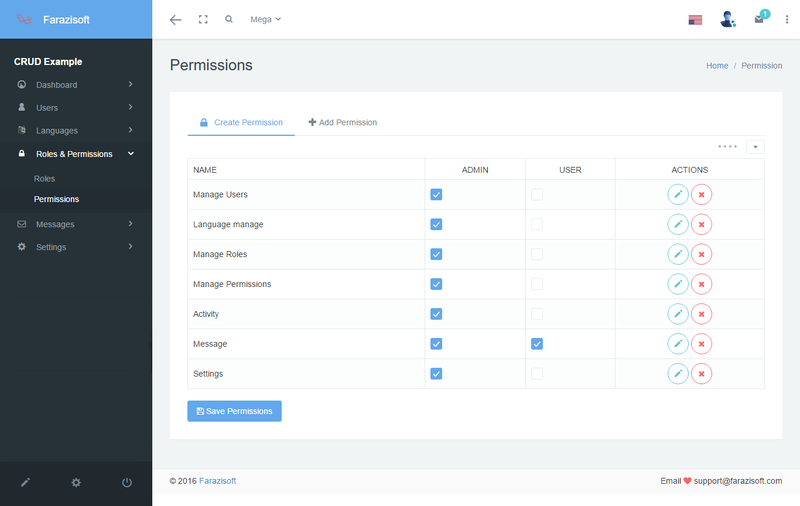 JT-Laravel-CRUD & Login management is a robust and feature packed PHP based framework laravel and mysqli login management script that includes a beautiful dashboard UI & Front-end desing to make getting started on your next app a breeze! Check out the demo now! Very Easy to Install! – Easily install system and easy documentation. Unlimited User Levels – Create and secure content based on unlimited user levels you define! Multi-lingual – Includes dynamic added languages – add your own easily! 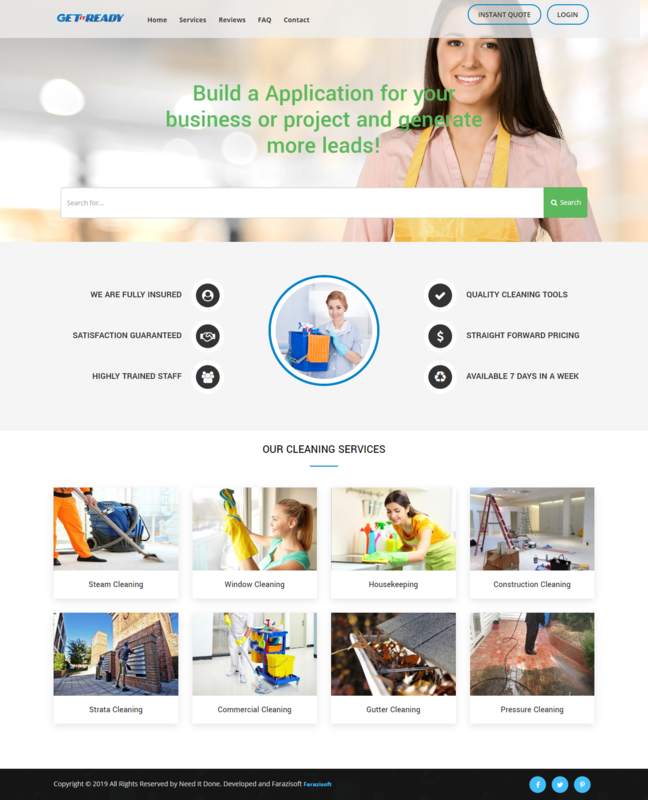 Front-end – Front-end page include you can easily develop it! Roles – Dynamic Roles Added system! Permission – Dynamic Permission system according to roles wise. Social Login – Social Login system. Messaging – Registered user’s can communication by messaging . Import, Export, PDF – User list and customer can import, export xls and PDF download. 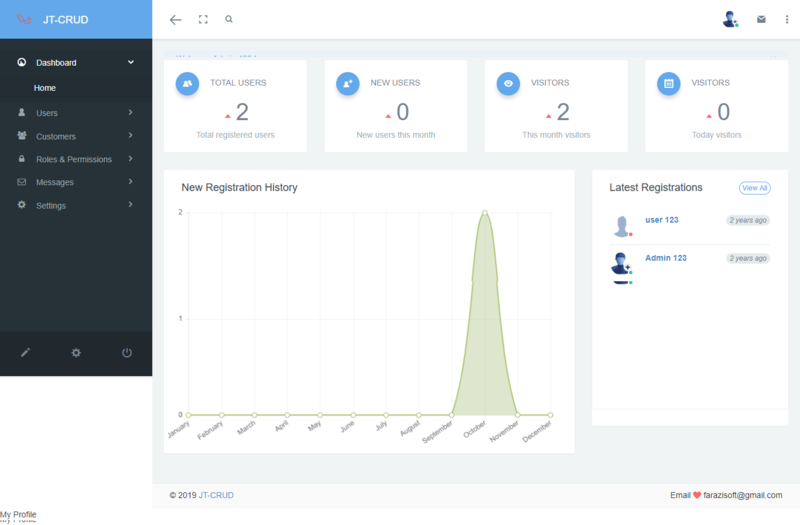 Customer Panel – Customer Panel, Customer can Login and registration from front-end. Setting System – Setting system included and can permission everything from here.